Restocking Supplies: At our customer’s request we can provide cleaning and paper supplies that are used and consumed in rest rooms and lunchrooms. 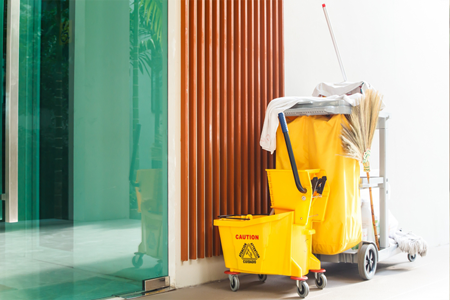 Custom Maintenance Program: Augie’s Janitorial can provide you with a planned custom maintenance program especially designed to keep your facilities clean, fresh, and pleasant week-after-week, month-after-month, all year long. Service can be provided 1, 2, 3, 4, 5, 6, or 7 times a week, once a month, or twice a month. Materials, Supplies, and Equipment: In order to provide you with the finest service possible, we use modern methods and materials. 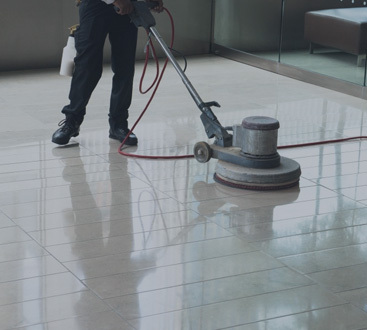 Augie’s Janitorial provides all supplies, equipment, and materials needed to perform the services. 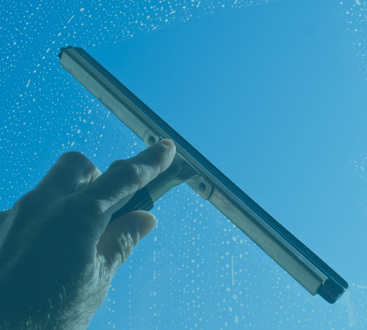 Our customers usually provide cleaning supplies that are used and consumed in restrooms and lunchrooms; however, if you prefer, we can order and pick them up for you. Training, Experience, Supervision: Training and close supervision are important for consistent quality service. Therefore, we provide video and/or online instruction and on-site training to qualify our personnel to become professional building service technicians. We have many years of valuable experience and knowledge that have put us at the top of our industry to better serve you. We can say with all sincerity that the quality of our service is second to none. Consulting: Augie’s Janitorial provides consulting services and offers suggestions for ways to keep your cleaning costs to a minimum.